CPAs are in demand across a range of industries. Practically every organization needs public accountants and auditors. Furthermore, many CPAs also work as tax professionals or business consultants; their expertise and training ensure that they can command high salaries. Consequently, most companies do their best to retain their accounting talent by providing regular salary hikes and bonuses. According to a survey conducted by the Association of International Certified Professional Accountants (AICPA), a newly qualified CPA with less than one year of work experience can expect to earn an annual salary of about $66,000. The average salary for a CPA based in the United States is $119,000. Those CPAs who have extensive experience of working in the accounting and finance fields can earn substantially more. An individual with 20 years of experience could command an average of $152,000 in annual pay. It’s important to remember that these figures exclude bonuses, which could be in the range of 10% of annual salaries. Additionally, CPAs can expect to earn pay increases of 4% to 5% every year. Of course, the amount that CPAs make depends on a host of factors. The number of years of experience that you have, the industries that you have worked in, and the nature of work that you have handled, all play a role in determining your salary level. That said, CPAs can also choose to make their careers in any one of a wide range of different industries. A corporate accountant’s primary task is to analyze data, manage financial reporting, and to ensure compliance with regulations. Additionally, the role also involves budgeting and forecasting. Corporate accountants are usually responsible for preparing the reports that are used by senior management to make decisions. According to Robert Half, a human resource consulting firm, salaries for corporate accountants can vary widely. A Financial Analyst with up to one year of experience could expect to earn an annual salary of anywhere between $42,500 to $80,750. Furthermore, financial analysts who have one to three years of experience can make between $55,000 and $105,000. Tax Accountants, Cost Accountants, and General Accountants with a similar level of experience can also earn salaries in this range. A public accounting firm provides accounting and related services to other organizations. CPAs who work in public accounting firms are usually involved in auditing the financial statements of clients, the preparation of tax returns, and in assisting clients in the preparation of their financial statements. These firms have clients spread across the globe. Hundreds of thousands of employees work for each of them. For example, Deloitte has over 250,000 employees. Deloitte offers a starting salary of between $45,000 and $60,000. PwC, EY, and KPMG also pay CPAs who have recently passed the CPA exam approximately the same amount. Traditionally, CPAs work in accounting, audit, and taxation. However, there is an increasing number of job opportunities in the banking and financial services sector. A CPA’s expertise is highly valued in areas such as credit analysis, commercial lending, and risk management. Many firms in the financial services sector also recruit qualified accountants to handle reporting and compliance functions. The data compiled by Robert Half reveals that a credit analyst with one to three years of experience can expect to make between $44,000 and $83,500. The salaries in the upper range would usually be available to candidates who have specialized expertise as well as additional certifications that are relevant to the job. Credit analysts with 5+ years of experience can earn between $67,750 and $129,000. Again, you would need to have a very high degree of expertise to get an offer of $100,000 or more. The amount that a CPA is paid is based on various factors; the number of years of experience that you have and the type of work that you have done play a role in determining your salary level. Another factor that influences your salary is the state in which you work. The highest number of job opportunities for accountants and auditors is in California. Data published by the Bureau of Labor Statistics, a unit of the United States Department of Labor, shows that in May 2017 there were 143,670 accountants and auditors in California. *Note – these details are for all accountants and auditors. 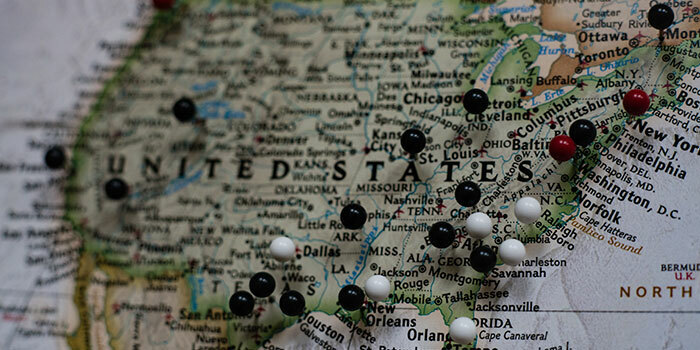 In which states do accountants and auditors earn the most? Keep reading to find out! The average annual salary in the District of Columbia is $96,880, the highest in the country. New York is next ($95,430), followed by New Jersey ($91,400), Virginia ($84,740), and California ($83,540). As you would expect, salaries differ within a state as well. Data provided by Robert Half reveals that different cities have widely varying salaries for the same type of job. For example, starting salaries in California range from 13% below the national average to 41% above it, depending on the city in which you work. This type of variation exists all across the country. Salaries in Washington, D.C. are 33% above the national average. In New York City, they exceed the national average by 40.5%. One reason is that the cost of living in certain cities is high. A bigger annual salary compensates you for your greater expenditure. However, there could be other reasons as well. A shortage of talent in a particular area may lead to employers offering higher salaries. You may also be in a strong bargaining position if you have a specific skill that the employer is looking for. CPAs can compare their salaries with other accounting and auditing professionals by using a tool devised for the purpose by the AICPA. The salary comparison tool requires you to key in the country and the state in which you work and select an industry as well. After this, you need to enter your salary and bonus figures. Based on the data that you enter, the tool will immediately provide a report that gives details of the amount that other CPAs in the state and the country earn. You will also be able to see the particulars pertaining to the average annual salary as well as the bonus percentage for your industry. Remember that the results that the interactive salary tool provides are indicative and not 100% true to real life. They are based on a salary survey conducted by the AICPA in 2017. When you are being interviewed for a job, it is often possible to get your prospective employer to raise the salary offer that is made initially. Of course, large corporations or the Big Four accounting firms may be unwilling to negotiate the salary package if you are applying for your first job. However, smaller companies can be more flexible. And if you are switching jobs, the likelihood of getting the company to increase the proposed annual salary is stronger. So how can you get a better deal for yourself? Read more to find out! The first step that you must take is to carry out extensive research about the employer. This will help you to make a good impression during the interview and demonstrate that you are a serious candidate. You should also be prepared to answer questions that will test your professional knowledge. Most companies will be keen to know if you keep up with new accounting regulations. You should ensure that you are ready to answer this question as well as others relating to your area of specialization. Never reveal your hand. If you are asked to provide an expected salary on the application form, leave it blank. Let the company make an offer first. Don’t divulge your current salary. Your new employer should pay you a sum that reflects the value that you will add to their company. Your current salary has nothing to do with this. When the company provides you with the proposed salary, be prepared with a well-researched counter-offer. You should be able to justify your demand. Above all, remember that you must negotiate. Most companies are willing to raise the number that they provide initially. But it is up to you to ask. CPA salaries are expected to increase in the years ahead. According to the AICPA’s 2017 Compensation Survey, CPAs expected their pay to rise by 5% over a period of 12 months. In the earlier year, salaries had grown by 4%. One reason for rising salaries is the high demand for accountants and auditors. The United States Department of Labor expects the requirement for accounting and finance talent to increase by 10% in the 2016-26 period. Professional accountants who have recently passed the CPA exam can choose from a wide range of job options. It is quite reasonable for you to expect steady growth in your compensation over the course of your career. Additionally, moving to a new company can help you to accelerate the process of getting a salary hike. However, before you change jobs, it may be a good idea to bear in mind the advice that Mark Koziel, the AICPA’s executive vice president-Firm Services, has to offer. “Careers in accounting are a marathon, not a sprint. How Is The CPA Exam Scored?